This entry was posted on Wednesday, February 8th, 2017 at 4:39 pm. If you’ve been following my “History of…” articles, then you know that just about every piece of the riding habit had its origins in foxhunting. Well, we’re about to change that! Breeches were actually first developed in India by polo players. 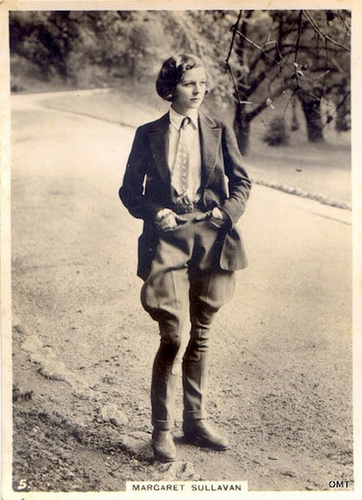 Well, breeches weren’t developed by polo players – jodhpurs were. So before we get into the nitty gritty of the history, let’s have a brief lesson on the difference between the two. The main difference is the length; breeches are shorter, finishing around the calf. With their close, tight fit, you’d wear breeches with tall boots. Jodhpurs finish further down the leg by the ankle, making them a perfect choice to wear with paddock boots or chaps. 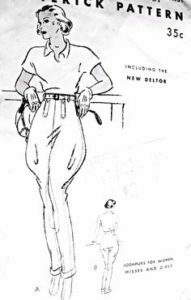 (And for those of you who refer to breeches as britches, this is just a spelling/pronunciation variant, not a difference in the style itself). Now that we got that out of the way, it’s time for our history lesson! Jodhpurs got their name from the capital city of the former Indian state of Marwar. Situated in western India, Jodhpur City was founded in 1495, but ceased to exist in 1947 when it merged with the newly independent state of India. It was in the late 1800s that Sir Pratap Singh, the Regent of Jodhpur who was an avid equestrian and polo player, became unhappy with the style and fit of his riding pants. It was then that he decided to alter them to suit his needs for the game, and modeled them, slightly, after the churidar, a traditional Indian long pant. Worn by both men and women, the churidar had a loose fit around the hips but was tight along the calf and ankle. Sir Pratap, wanting extreme freedom to move while riding, increased the bagginess of the pant along the hip and thigh but retained the tightness in the lower leg. He then added reinforced fabric along the knee down to the inner calf to prevent his legs from rubbing. This first pair of newly-improved riding pants was made in Jodhpur in 1890 from a thick cotton twill cloth. Other polo players, seeing the advantages of the new design, had pairs made, but the pants themselves were still unnamed. Jodhpurs made their way into England in 1897. At this time, Queen Victoria, the Monarch of the United Kingdom, Ireland, and the Empress of India, was celebrating her Diamond Jubilee. Sir Pratap Singh traveled to England for the festivities and took along with him the Jodhpur Polo Team. The team not only won the most matches, but were a smash hit thanks to their new fashion statement. The British, always quick to embrace a new equestrian trend, immediately replicated the Indian design. It is widely thought that the term jodhpurs was coined during Sir Pratap’s trip to England. In need of a new pair during his stay, Sir Pratap visited a Savile Row tailor where he had no choice but to reveal the design. When the tailor asked what the pants were called, Sir Pratap, who was not very fluent in English, misunderstood the question and replied, Jodhpur, thus giving the pants their name. The term breeches, on the other hand, was developed in the late 1500s in reference to underwear worn by both men and women. The English term then began to replace the word hose, a generic term for men’s lower outer garments. Breeches eventually evolved until it referred to outer, knee-length pantaloons or trousers. As with everything in fashion, designs change with each passing generation. Gone is the style of loose-fitting fabric from the hip to the thigh in favor of a tight, stretchy pant from waist to ankle. Our current breeches now come in three main types: knee-patch, full seat, and Kentucky. Knee-patch breeches stop mid-calf and have a reinforced leather (or synthetic) material only on the inside of the knee, allowing for extra grip to the saddle. Full seat breeches also have the additional material at the knee, but it continues up the inner thigh and across the seat. Full seat breeches are most popular in dressage where the rider strives for a quiet, deep seat. Kentucky jodhpurs are full-length and used exclusively in saddle seat riding. They are close-fitting from the hip to the calf, but they flare into a bell bottom at the end, covering the outside of the boot. As always, the color of breeches in competition is very important. Most organizations prefer traditional, classic attire that is both quiet and conservative. White breeches are common in dressage but are also seen in show jumping. For hunt seat, beige is the most popular, although grey, rust, tan, and olive green make occasional appearances. Schooling breeches now come in fun plaids, checks, and stripes, displaying bright, vibrant colors. Fabric for our current breeches is usually a combination of nylon, spandex, and faux suede (for knee patches). After researching the history of all pieces of the riding habit, I have come to the same conclusion over and over – it’s a great time to be an equestrian. Not only is our attire becoming safer and more comfortable, but it’s becoming more attractive. We have so many options now to showcase our individual tastes so we can stand out at the barn and in the show ring.